Vertical Hostel Mavrovo is right in the heart of the mountain, where there's 0% pollution and just fresh air, into the Mavrovo National park where you can take a safari tour, close to the lake and the nature and still just 6 km away from the ski resort, the restaurants, bars, mini market and rental stores. Vertical Hostel is a nice and cozy place, located in the Mounties of Mavrovo, just 6 km away from the best ski resort and still in the heart of the National Park and on a walking distance from the beautiful Mavrovo lake. 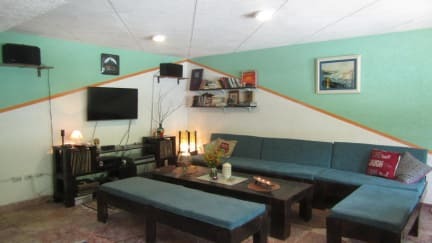 We have 6 hostel rooms (4x2 bed and 2x4 bed) and 1 private room with double bed, tv and private bathroom. 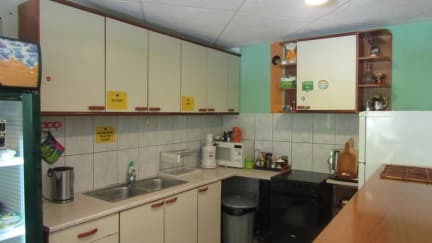 Fully equipped kitchen and toilets, big lobby with free wi-fi and cable television, small library and lot of board games. Nice balcony with a breathtaking view of the mountain and the lake and a big beautiful yard where in the summer we make an outdoor cinema. We will offer you a lot of interesting walking tours through Mavrovo, hiking to the nature and the waterfalls, horse riding, biking, off road driving and a lot of adventurous things to do while your stay. If you are interested in tasting the local specialties we'll take you to the finest restaurants and we'll be more than happy to recommend the best dishes to you. The hostel is open 24/7. Smoking into the hostel is not allowed.